PolicyBazaar believes this will enable it to grow at a CAGR of more than 80 per cent over the next three years achieving 10 million transacting customers by 2020. 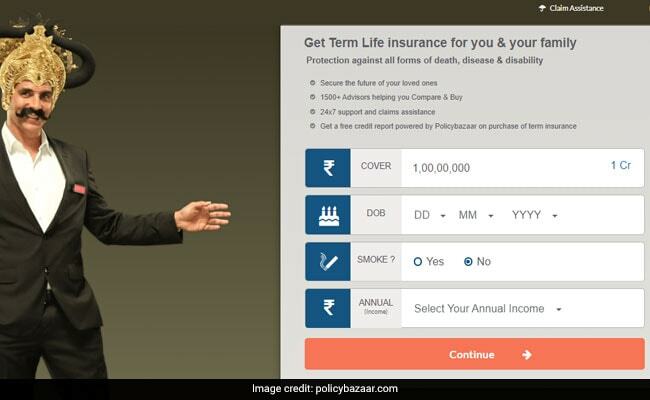 Online insurance aggregator PolicyBazaar has raised more than $200 million (Rs 1,362 crore at $1 = Rs 68.13) in a new round of funding led by SoftBank Vision Fund. ETechAces Marketing & Consulting or ETechAces, the owner of insurance comparison portal PolicyBazaar.com, announced funding by a group including SoftBank Vision Fund and existing investors including Info Edge (India), the parent company of job search portal Naukri.com. SoftBank Vision Fund, the world's biggest private-equity fund, is an investment vehicle of Japan's SoftBank Group. "We are very pleased to welcome Softbank Vision Fund on board as our stakeholder. We hope to gain a lot from their (SoftBank's) global footprint and experience," said Yashish Dahiya, co-founder and group CEO, EtechAces. ETechAces also owns lending marketplace PaisaBazaar.com. Munish Varma, partner at SoftBank Investment Advisers, said: "Over the last decade, PolicyBazaar has become synonymous with online insurance shopping in India." "We believe that the Indian insurance market continues to remain massively under-developed and PolicyBazaar, supported by SoftBank's capital and ecosystem, is uniquely positioned to dramatically increase the adoption of insurance products in the country." Since its inception in 2008, PolicyBazaar has been at the forefront of establishing online as a 'go-to channel' for consumers to compare insurance products, offering them ease to buy instantly and helping them make informed decisions, said ETechAces. ETechAces has backing from a host of investors including the likes of Softbank, Temasek, Tiger Global Management, True North, InfoEdge (Naukri.com), Premji Invest, besides investments from other PE funds and family offices, it noted. SoftBank Vision Fund has also invested in other Indian companies including cab-hailing firm Ola. PolicyBazaar, which was founded in 2008, said it currently accounts for nearly a quarter of India's life cover, and more than 7 per cent of the retail health business. PolicyBazaar.com hosts over 100 million visitors yearly and records sale of nearly 300,000 transactions a month, the statement added.